Even though Tokyo is a futuristic metropolis filled with lots of sky-scrapers, shopping areas and other large scale developments, the city does have its fair share of green areas that give locals and visitors the opportunity to escape from the bustling city life. There are several noteworthy parks that you can go to for picnics, to take pictures, or to relax. We have listed some of the most beautiful parks in Tokyo. Located only a ten minutes’ walk from Shinjuku station, Shinjuku Gyoen is a large garden of 58.3 hectares with wide lawns, trees and ponds. It was originally a residence of the Naito family of feudal lords, associated with the Takato domain in the Shinano province during the Edo period (1603–1868). Presently, it serves as a National Garden under the jurisdiction of the Ministry of the Environment. The park boasts three distinctive styles: a French formal and English landscape to the north, and a Japanese traditional landscape to the south. Visit from Tuesdays to Sundays between 9am to 4pm for a small admission fee. The Yoyogi Park is a large Western-style park situated a five minutes’ walk from the Harajuku Station and the Meiji Shrine. Yoyogi Park sits on the site from where the first successful powered aircraft flight in Japan took place on December 19, 1910 led by Captain Yoshitoshi Tokugawa. Presently, it is one of the locals’ favorite parks, where you will see many rock music fans, jugglers, comedians and hobby groups. For no charge, you get to witness its famous autumn leaves at the right time of year, especially the golden leaves of the many ginko trees. The Imperial Palace East Garden is located only a 10-15 minutes’ walk from Tokyo station. For no admission fee you get the opportunity to walk the grounds of the former Edo Castle and part of the current Imperial Palace, and get close-up views of the enormous stones used to build the castle walls. Climb the ruins of one of the keeps, off the upper lawn, and visit the Museum of Imperial Collections that exhibits the more than 9500 artworks owned by the imperial family. Ueno Park is located next to Ueno station and features about half a dozen museums, a zoo, a Toshogu Shrine and the Shinobazu Pond. 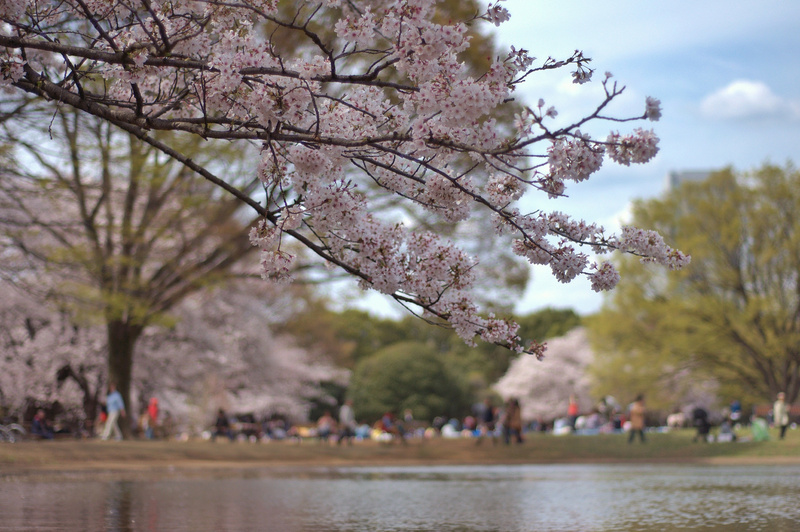 A noteworthy event held in the park are the spring celebrations for its beautiful cherry blossoms and hanami. Ueno Park was established in 1873 on lands that formerly belonged to the temple of Kan’ei-ji. The free admission park is a wonderful place to take the entire family. Photographers of all calibre will be fascinated by the some 8800 trees, extensive lotus beds, marshland, shrubs and various species of winter birds. The Institute for Nature Study National Reserve is perhaps one of Tokyo’s best-kept secrets. 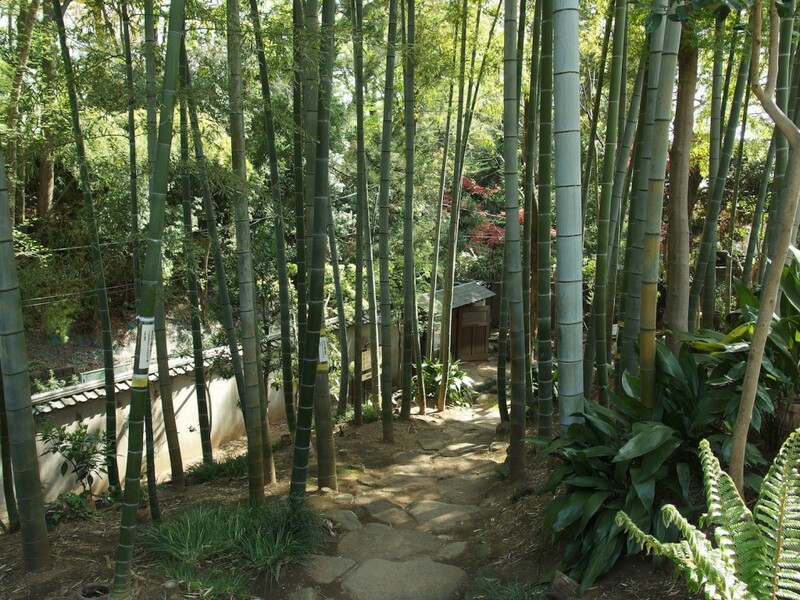 The natural reserve (Shizen Kyoiku-en) is situated in the heart of Tokyo, near Meguro Station. The park is operated by the National Museum of Nature and Science whose aim is to preserve the natural environment of Tokyo’s forests and marshlands, but it is owned by the Ministry of Education. For a small fee, anyone can enjoy the park’s natural beauty. The grounds are also used for research and education. Smack in the middle of the residential city ward of Setagaya, a two minutes’ walk from Tokyu’s Todoroki Station, is a small park named Todoroki Valley. With only about one kilometer in length, this park is an attractive green trail that leads through a narrow wooded valley along a small river. It stretches from Todoroki Station, beneath Kampachi Dori, and onwards toward the Todoroki Children’s Park. At the other end of the valley you will get a picturesque view of the atmospheric Todoroki Fudo Temple, some shrine structures and numerous cherry trees. Chichibu-Tama-Kai National Park covers and area of over 1250 kilometers square and has eight peaks of over 2000 meters. The national park stretches out west from the city of Tokyo, covering the Saitama, Yamanashi, Nagano and Tokyo Prefectures. There are numerous hiking trails and ancient shrines that attract many adventurous visitors each year. 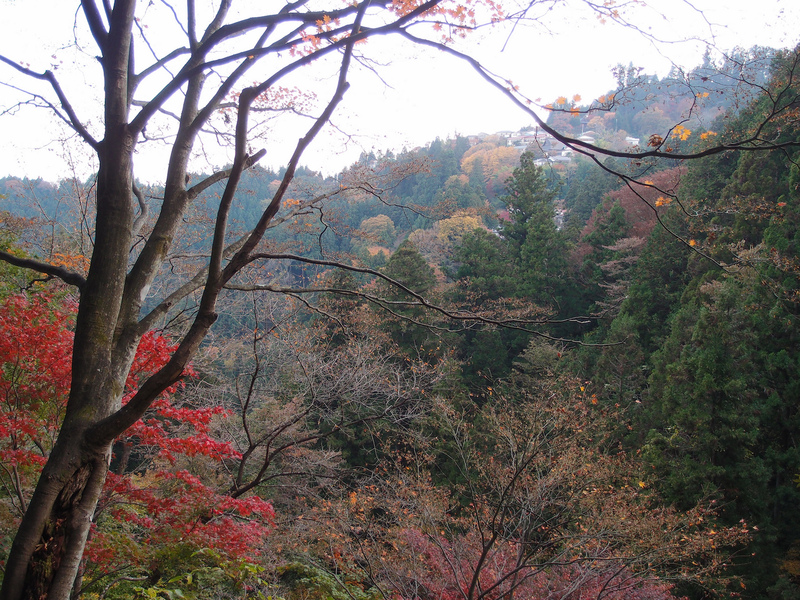 Mount Mitake is one famous landmarks that showcase the country’s unspoiled nature. It is located in the Okutama region, the western-most part of Tokyo. This park is the perfect destination for a day trip for those who need a break from the busy metropolis. It can be easily reached in less than two hours from central Tokyo. Located close to the Kiyosumi-Shirakawa Station in Fukagawa is Kiyosumi Teien, another trail park that features many stones set around the grounds to form a beautiful landscape. The park was originally the residence of a rich merchant during the Edo period. The land eventually changed ownership and in 1932 it was donated to the city of Tokyo and opened to the public. One attraction to watch out for are the stone paths set in the water called ‘isowatari’. Look out for fishes and turtles in the pond, and admire the beautiful reflections of the garden in the water. Kyu Shiba Rikyu Garden, formerly Shiba Villa, is a paradise oasis from where you can see towering sky-scrapers in the distance. Located next to the Hamamatsucho Station, Kyu Shiba Rikyu is a lovely landscaped garden with a pond and man-made hills that symbolize the ocean, lakes and mountains of the real world. There are also circular walking trails that enable visitors to admire the garden from various perspectives. The land once served as a home to various feudal lords and government officials during the Edo period. 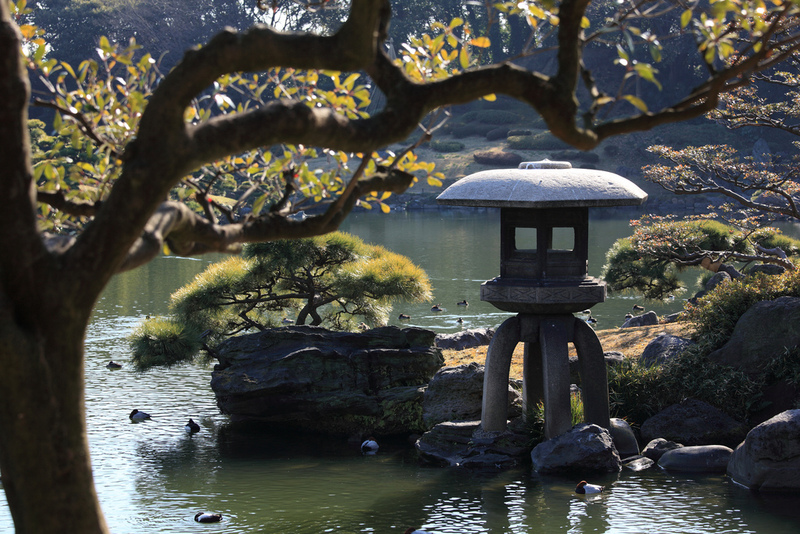 It was opened to the public in 1924 as the Kyu Shiba Rikyu Garden. Another beautiful landscaped garden where you can see towering buildings in the distance is Hama Rikyu. The garden is a relaxing place for a romantic rendezvous away from the noisy city streets, and it’s also a good place to visit with the entire family. Like most parks in Tokyo, the land was the residence of a feudal lord during the Edo period. The park features amenities like seawater ponds that change level with the tides, and a charming teahouse on an island where you can rest and watch the scenery while sipping some lovely tea. The park’s trees are beautiful all year round.